ACCUMULATION is an American IPA/White IPA with a 6.2% ABV and 70 IBUs. 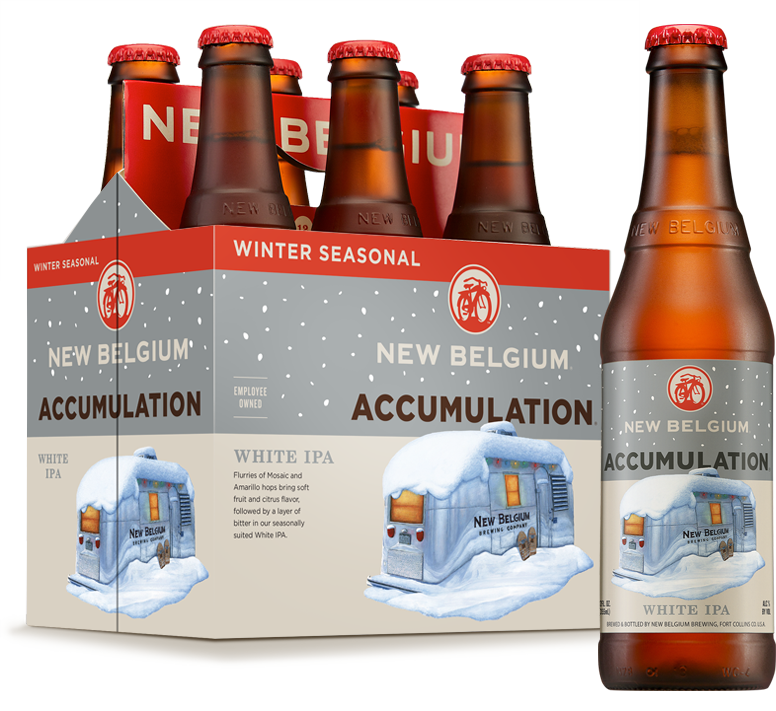 This winter, IBUs start accumulating like snow in Colorado with our new Accumulation White IPA. Brewing a white IPA was not only a way to salute the white beauty falling from the sky, but a direct revolt to the longstanding tradition of brewing dark beers for winter. At least that’s what our rebellious brewer Grady Hull likes to claim as he shovels in plenty of new hop varietals and a bit of wheat for a smooth mouthfeel. Stack up a few cases of Accumulation White IPA to keep your long nights glowing blizzard white. As you may suspect by the term “white IPA” Accumulation poured a pale golden-to-straw yellow . The head was practically nonexistent, but there were plenty of bubbles flowing throughout the beer that lasted the duration of the drinking process. The aroma immediately hit my nostrils with an effervescent zestiness. There’s pine, citrus fruit (tangerine in particular), and floral notes are all detectable right from the start. Some wheat and straw notes are lurking in the background, which makes me think of a super-hopped saison. This is one of those instances where the nose pretty much prepares you for what you’re about to taste. It begins with a blend of wheat malt and subtitle pine notes. Floral notes flirt around the middle, before finishing with a touch of sweet orange and straw. Oddly enough it finishes more bitter than it starts. Mouthfeel is light and a little on the dry side. It finishes easy, but leaves a little clingy residue in its wake. 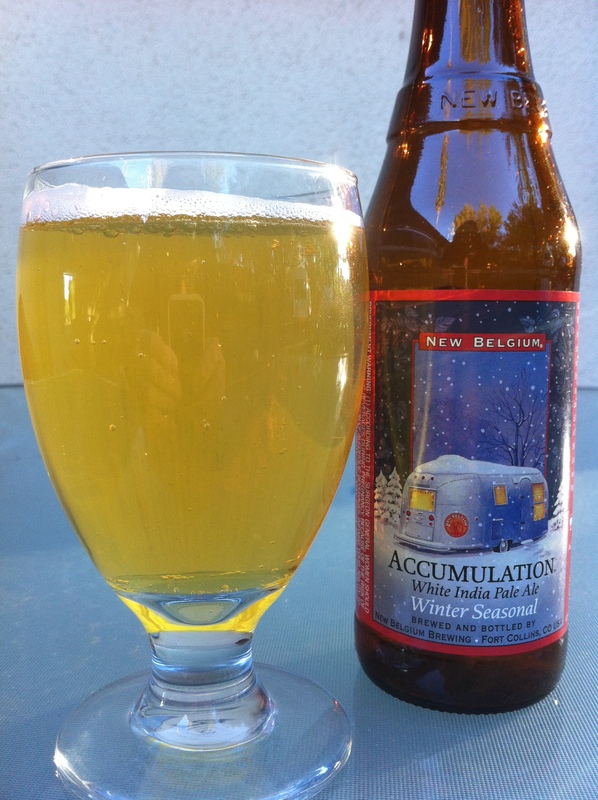 New Belgium has put together quite a nice White IPA with Accumulation. Like most of their standard beers it shows you a good example of a style without pushing too many boundaries in the process. I’ve had better, but it’s nice to know that there will now be an easy to find White IPA on my local beer store shelves. At least during the winter time, that is.